Jonathan Gash (Cockney rhyming slang for "trash" in the sense of "good-for-nothing") is the main pseudonym of John Grant, a distinguished English medical doctor who has turned out more than a mystery a year since he began publishing in 1977. The majority of his humorous and witty fictive creations focus on antique dealer and sometime investigator Lovejoy (his full name is never revealed), an unscrupulous, conniving antihero; a lecherous connoisseur of anything old, rare, beautiful, and valuable; a "divvy" who can mystically separate the genuine from the fake; a master of inspired fakery himself; and a dealer in dreams. He has highly flexible ethics and a cheeky manner as he engages in outrageous scams and counterscams in the name of justice, revenge, and a quick profit. Lovejoy is an idealist corrupted by everyday circumstances: his life is a constant quest for the rare, the exquisite, the irreplaceable; yet, he is always caught up in villainy and murder and easily imagines the worst in everyone. Through him, Gash satirizes the pleasures, pretensions, greed, and self-delusions of the antiques world and its hangers-on, from millionaire collectors to down-and-out barkers. The Lovejoy series follows a basic formula, but there is such a variety of information and experience bound up in it that each book is a new, intriguing experience. Unlike Agatha Christie, whose stories are plot-driven, Gash makes narrative voice his driving force, with Lovejoy's anecdotes about history, antiques, and human behavior, his advice, warnings, diatribes, and antics, taking precedence over story line. In the late 1990s Gash introduced a second series, with an unusual detective team that allowed him to focus on urban England and grim realism and to effectively employ his medical knowledge (the heroine is a doctor). 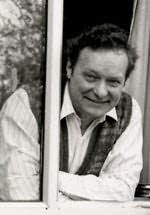 Jonathan Gash was born John Grant in Bolton, Lancastershire, on 30 September 1933, the son of Peter and Anne (Turner) Watson, both mill workers. He grew up in Bolton as one of a large family of boys. He married Pamela Richard, a nurse, on 19 February 1955, at age twenty-one, and they had three children: Alison May, Jacqueline Clare, and Yvonne. He attended the University of London, where he received his M.B. and B.S. in 1958, and the Royal College of Surgeons and Physicians, where he earned his M.R.C.S. and L.R.C.P. and became a member of the International College of Surgeons. While a penniless premed and then medical student, Grant held a variety of odd jobs to pay for his education. Once he began working in the Cutler Street Antiques Market in London's East End, however, he had found a lifelong avocation. He carted around antiques and had them appraised by a real-life expert who, as Peter Gambaccini reports, became the model for Lovejoy. Gash's interest in antiques reveals itself particularly in his mysteries, where readers learn an array of information about a variety of unusual collectibles. Even British country lanes reveal "antiques," the legacy of the old Romans versus the heritage of the ancient Britons. Gash finds intriguing the idea that treasures abound everywhere, or, as he has Lovejoy point out in The Grail Tree (1979): "Right from our sinister prehistory to the weird present day, mankind's precious works are scattered in the soil, under walls, on beams, in rafters, in chests and sunken galleys, in tombs and tumuli. . . . I've seen an early Chinese black-ink jade cup used for tiddlywinks. And a beautifully preserved genuine 1751 Chelsea dish stuck under a penny plant pot out in a garden." Gash learned enough from this hands-on experience in the trade to be able to make his own forgeries (a practice he continues in order to make sure his descriptive details in his books are accurate). Unlike his characters who sell fakes as the real thing, Gash signs his creations and donates them to charity. Once his main medical degrees were completed, Grant turned to full-time medical practice, but, while doing so, earned specialized degrees--D.Path., D.Bact., D.H.M., M.D., and D.T.M.H. He was a general practitioner in London from 1958 to 1959, a pathologist in London and Essex from 1958 to 1962, and a clinical pathologist in Hanover and Berlin from 1962 to 1965. A stint in the Medical Corps of the British Army from 1965 to 1968 earned him the rank of major. In 1968 Grant moved to Hong Kong, where he served as head of the clinical pathology division at Queen Mary Hospital and as lecturer in the faculty of medicine of the University of Hong Kong. There he learned a great deal firsthand about tropical medicine. Grant grew to love the city and to have contempt for authors who researched their books on it from conversations in the Hong Kong Club. Grant learned Cantonese and used it in his professional dealings as physician and pathologist, and, as a result, attained a level of awareness of culture and perspectives most Westerners miss. This distance from his own culture made him quite capable of seeing through English social pretensions and of satirizing British sacred cows. He left Hong Kong in 1971 to become head of the bacteriology unit of the School of Hygiene and Tropical Medicine at the University of London. He also became a member of the Royal Society of Tropical Medicine. His first work under the pseudonym by which he is best known among readers of the detective-fiction world, The Judas Pair, was published in 1977 and was, he says, an attempt to find "light relief" from medical duties. He began the Lovejoy series on a commuter train to London and from then on wrote on his lap while commuting to work and to lunch. He writes in longhand in small letters, changing the color of his ink each time he rewrites, and after four or more drafts finally turns the manuscript over to a typist before continuing revisions (up to as many as thirteen drafts). He has remarked that he finds writing both a pleasure and a game. His escape from urban drudgery was to write about a rural village, and his escape from his own medical persona was to produce a fun-loving, womanizing rogue, Lovejoy of Lovejoy Antiques, an impoverished but resilient and knowledgeable antique dealer with a flair--a nose for antiques and a nose for trouble. Through Lovejoy, Gash builds on the knowledge of antiques developed and refined as he worked his way through medical school and then developed outside the trade as an aficionado. He also works in a British literary tradition going back to Robert Greene and his tales of coney-catching. Gash, like Greene, makes his rogue lovable, and, because it is Lovejoy's narrative voice addressing readers, Gash can escape into the skin of a witty, lively character, with a short temper, few scruples, and an obsession with antiques first and women second. These consuming interests take precedence in his life to the exclusion of almost everything else. Newgate Callendar, writing in The New York Times Book Review (19 August 1979), called Lovejoy "flawed indeed"--scrambling "for a living" and "turning a dishonest deal or two," his speech "ribald," his manner "offensive"--yet "a genuine hero . . . faithful to himself," seeking the "unattainable . . . backed by a tremendous knowledge and a rapt love for what he is doing." Writing in the same source on 29 April 1984, Callendar captured Lovejoy's essence: "always broke, always hustling, always randy, always seedy and unsavory, always resourceful . . . never an admirable character . . . always ready to forge an antique, to bend the law, to lie outrageously, always managing to justify himself by specious reasoning . . . a male chauvinist . . . [without] one redeeming characteristic," but also "a true artist" and "a visionary who loves beautiful antiques more than life itself and who knows as much about them as Bernard Berenson did about Renaissance art." In fact, Lovejoy's antiheroic nature is the key element in the series. His impromptu, informed lectures on a wide range of curiosities are, of course, another important part of the charm and attraction of the novels. These lectures reveal the author behind the series character--a man fascinated by history, the arts, and human behavior and forgiving of human foibles. Is there going to be another Lovejoy book? Thank you for a beautifully written and informative biography. Devastated! I have now read all of the Lovejoy books and am suffering from withdrawal symptoms. I wish I could find out how he ends up, who his mysterious brother is, how he came to have that name...etc etc .. Please write some more! Have enjoyed watching Lovejoy over many years, starting when living n the U.K. in the late 80s from memory. Just watching American TV show Colombo (S2 Ep 7 -1973) and in a street scene there is a prominent shop sign "Lovejoy Antiques" over a shop. What chance that provided the character title for Grant's book first published in 1977 I think? Late to the series and down to two books. Love it and will miss them when I'm through. I am late to the series as well. I watched Lovejoy on TV in the 90's. Bought the series on DVD about 8 yrs ago. 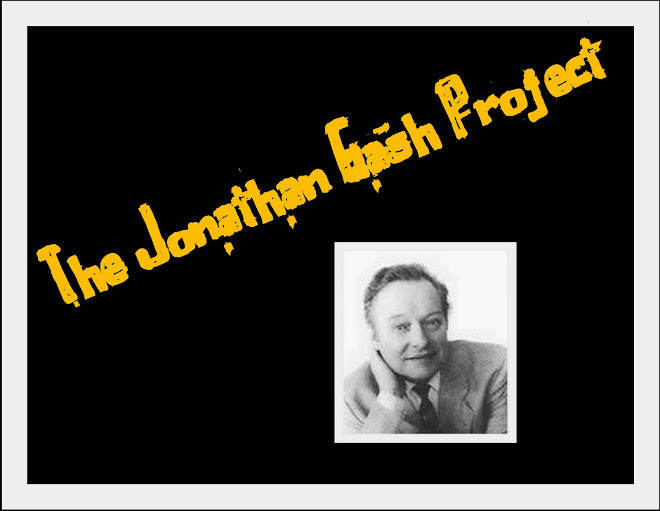 I kept noticing the "based on" Jonathan Gash books and investigated. So glad I did, I have 3 more to read. Great biography - huge fan of the Lovejoy novels and Ian McShane's onscreen portrayal but never realised quite what a polymath Dr John Grant is. Thank you Dr Grant.